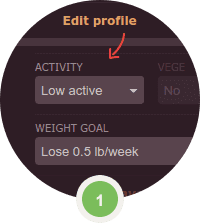 Tailor your profile and set Weight Goal. Add food you have eaten throughout the day. See whether your food intake is correct. Losing weight, gaining weight, or keeping in shape - whatever your goal is, HappyForks is here to help you reach your objectives. 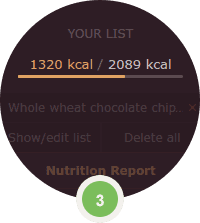 HappyForks will summarize what you added to your list or Food Diary and calculate how many calories you have consumed. These data will be compared with your calorie requirements which depend on your Weight Goal, physical activity, body mass, height and other parameters you set in your profile. This will help you to establish whether you eat a right amount of food to achieve your goal. Remember, focusing on calories only is not a right approach. That is why HappyForks also shows you whether your meals have appropriate and healthy nutritional value. Such calculations help achieving the goals you have set but will never replace a professional dietary advice. 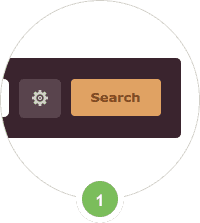 Find food products or recipes you like or use every day. Check their nutritional value, see what they are rich in and what they lack. 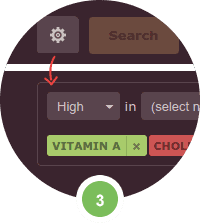 Use "High/Low in" search option to find food products or recipes that will supplement missing nutrients. HappyForks helps to establish healthy eating habits. By checking nutritional value of what you eat or using Recipe analyzer for your favorite recipes you will quickly discover strong points and gaps in your diet. 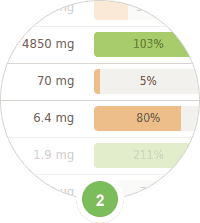 Thanks to the "High/Low in" option in advanced search, you will find food products and recipes that will help you balance your diet and bridge the gap of nutrient deficiencies. Soon you will know how to make healthy choices. Analyze recipes you found online with Recipe analyzer. Edit ingredients to adjust it to your own needs and save it. Add title and additional information. You can add a photo at once or after you have prepared the meal. We rarely use recipes exactly as they are described in cookbooks, culinary blogs or websites. 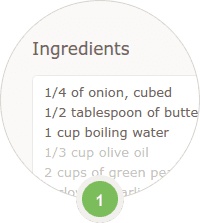 With HappyForks you can create a new recipe based on food products or even older recipes added to your list. You can modify recipes available at HappyForks and save them for your own future use. With Recipe analyzer you can improve recipes you have found in the internet. Regardless of how you add recipes, all of them are stored in a single, personal, easily-accessible place with your own description, comments and photos attached. 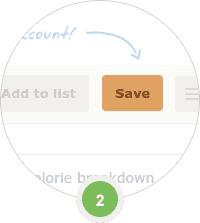 You can edit them or use as templates for new recipes at any moment. We do not send any advertisements or other unwanted emails to you, and we do not sell your data.